500 Lire Silver Coin: Value of Italian 500 lire coins with Caravels. 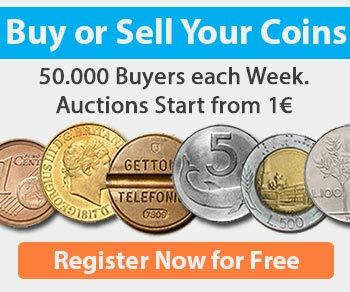 Are you interested in knowing the value of the Italian 500 Lire Silver Coin? On this page we have collected all the information, curiosities, values and quotations of the rare 500 lire Coin of the Italian Republic. When we talk about the 500 Lire Silver Coin we are usually reminded of the bimetallic coins of silver on the outside and bronze on the inside that for many years we have seen and used in Italy. 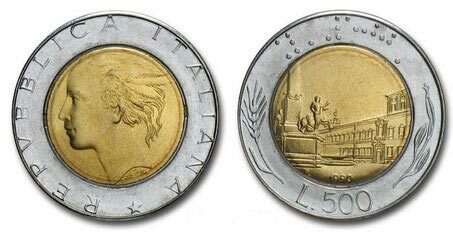 In fact, before this model, introduced in 1982, the Italian 500 lira were completely made in silver. Among these models there are some really interesting and worthy one, since some 500 Lire Silver Coins have can have a value of thousands of euros. 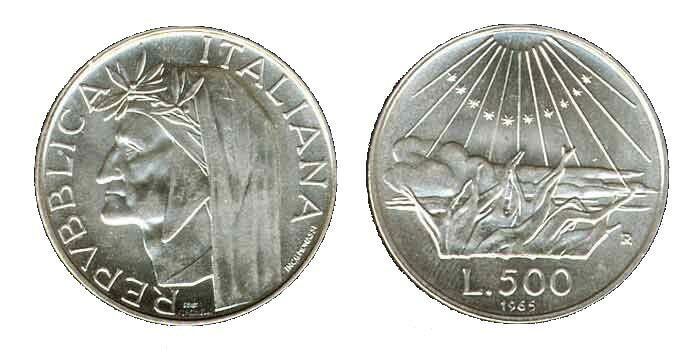 The 500 Lire Silver Coins were minted during two periods of the Italian Republic. The first minting took place from 1958 to 1967. During this period the 500 lire were minted in silver. The second period was from 1982 until 2001. In this period the 500 Lire Silver Coin were minted adding bronze, thus becoming bimetallic. In 2001, the issue was suspended forever because of the introduction of the single European currency, the Euro. Outside of these productions and coins put into circulation, some silver models were also minted for collectors only. The 500 Lire Silver Coin have a current value that varies according to certain parameters as the rarity, the print run, the year of minting and the state of preservation. These are just some of the characteristics that must be evaluated to give a quotation of one 500 silver lira. Generally speaking, 500 Lire Silver Coins are not uncommon. If you own some of this Italian coins you’re probably wondering how much are the 500 silver lira worth? The 500 Lire Silver Coin of all years of production are considered common, apart from the 1957 “trial” production (the one that is called “500 lire with sails on the contrary”) which is very rare. We will talk about these 500 rare lire in the next chapter. The value of the 500 silver lira minted in 1968, 1959, 1960 is quoted from 3 to 8 euro per piece. The 500 silver lira of 1961 have a value in euros from 7 to 25 €, because they are produced in smaller quantities. Some examples of these years, which show minting errors, may have a value of several hundred euro. There are some years that can have a value higher than 100 euro, always depending on the state of conservation. These are 1983, 1988, 1995, 1997 and finally the last year 2001. The Mint of Rome has issued 3 different types of 500 lira silver coins 835. The first type is called: Caravelle. This coin was minted from 1958 to 1967 and is a fairly common piece. The obverse of the coin shows a bust of a Renaissance woman, together with 19 coats of arms of the city capitals of the period. This coin’s reverse side is engraved with the three caravels (Columbus’s ships) that are sailing (to the right). The least common copies of this coin are those produced in 1993/94. The value of these coins ranges from €15 to €40 for FDC (Mint). Year 1958 and 1965 models with the three caravels have a value in euros from 5 to 20 euro because they were made only for collectors. Curiosity: the proof of this coin, printed in 1957 in only 1004 pieces, presents the flags of the caravels in reverse (upwind) and is one of the rarest and most precious Italian coins. The 500 Silver Lira with sails are one of the rarest coins in the Italian Republic. This coin shows on the reverse the design of the three caravels in navigation. What is special about it is that the flags on the top of the caravel’s main trees are pointed into the wind, engraved in the opposite direction to where they should actually be looking at. So, in reality, it is not the sails that are on the contrary, as you think, but the flags. The sails are facing in the right direction, towards the bow of the ships. …in fact not even the flags are in the wrong direction. In fact, the caravels are sailing upwind, close upwind, and therefore both the direction of the flags and that of the sails are correct. No printing error therefore, just a variant of the engraving. Nowadays in the popular culture these coins are however called “caravels with sails on the contrary“, which causes the most informed and attentive numismatists to be annoyed. Another distinctive feature is the writing “Prova” at the bottom left under the caravels. This test currency was only minted in 1957. Only 1004 copies were produced. Subsequently, the “regular” series began in 1958. The possibility of finding this rare coin between a lot of normal caravels, perhaps stored in a drawer at home, is very low. In fact, the 500 silver lire with sails on the other hand have never been circulating. These 500 silver lira have a value that can ‘get from 3,000 to 12,000 euro depending on the state of preservation. 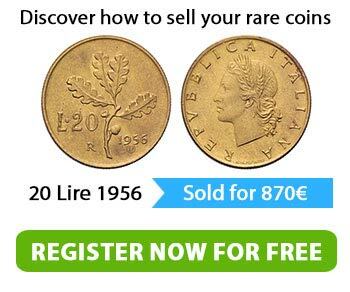 Wanted by collectors, if you own one of these coin you have the fortune to have one of the rarest and most precious coins of the Italian Republic. There are two other models of 500 Lire Silver Coin whose current value in euro is noteworthy. We are talking about the coins denominated “500 lire Unification of Italy“, and “500 lire with Dante“. The 500 silver lira minted between 1961 and 1963 are a special and noteworthy model. This 500 lire model shows a figure of a woman sitting on a capital holding a helmet on the right side and a quadriga on the back. It has been coined on the occasion of the First Centenary of the Unification of Italy, they were produced for only three years, always using only the mould of 1961. Therefore, the coins produced in the following two years still have only the date 1961. The 500 silver lira in question have an average value of about 7 euro. Some Mint models can reach a value of between 20 and 80 €. These500 Lire Silver Coins were produced in 1965 on the occasion of the celebrations of the Seventh Centenary of Dante’s birth. Dante’s 500 silver lira have a value in euro ranging from 3 to 10 euro depending on the state of the coin. Different value has the trial version of the coin. In fact, the trial version is part of a narrow group of 500 rare and valuable lire. It was produced and given as a gift to the mint’s employees. The value of these 500 Lire Silver Coin can exceed 4,000 €. How to recognize these 500 rare lire ? Simple, on the reverse of the coin must be written “Prova“. 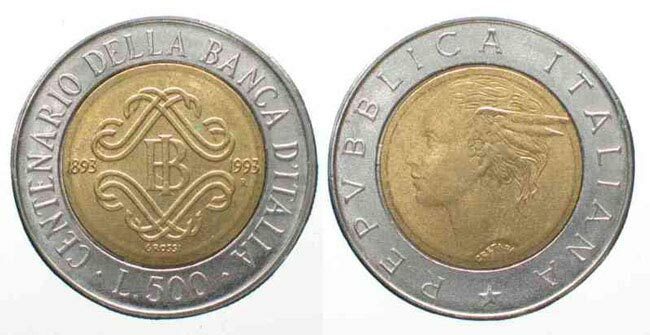 From 1982 onwards, the 500 lire coins were minted by adding bronze and becoming bimetallic. From this year on we can no longer talk of 500 rare lire because of the large volumes of bimetal printing. This model of 500 lire is perhaps the best known even by you who are reading this article. The classic coin was minted between 1982 and 2001, when it was replaced by the Euro. Some years see the production of medium head coins, others with small head and others with large head. 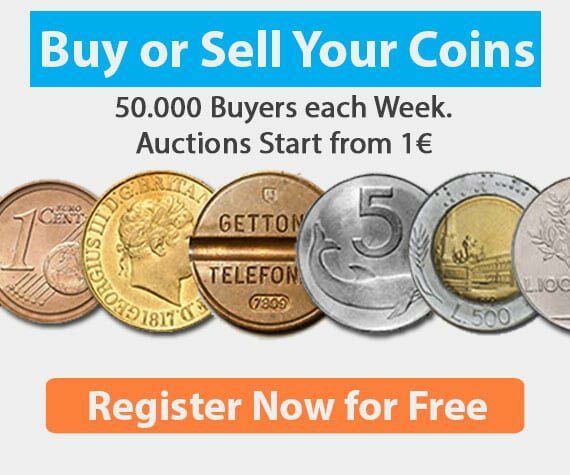 But how much are the 500 lire of silver and bronze worth? Coined in 1993, these 500 silver and bronze lire wanted to celebrate the centenary of the Bank of Italy. They have a maximum value of 2€. This common currency depicts Luca Pacioli and was produced in 1994 on the occasion of the celebrations of his 500th birthday. The price of these 500 silver and bronze lira is 1 euro. A coin produced in 1996 and with a value of about 1 euro. It was coined to celebrate the 70th anniversary of Istat. Not uncommon coin, produced in the year 1997. It was coined to celebrate the fiftieth anniversary of the establishment of the Traffic Police. The value of this currency is quoted in 1 euro. These 500 lire of silver and bimetal bronze were coined in 1988 for the celebrations of the twenty years of Ifad. This 500 lira coin is worth a maximum of 1 euro. The last coin of 500 lire commemorative. It was produced in 99 to celebrate the twentieth and direct elections of the European Parliament. Its value is 1 euro. 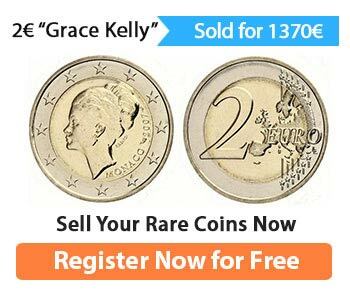 If you are looking for Euro Rare Coins then click here.